When you are visiting the Bay Area on an extended trip, perhaps for a business visit to Silicon Valley or an extended family vacation, corporate housing provides a cost effective alternative to staying in a cramped and expensive San Mateo hotel room. 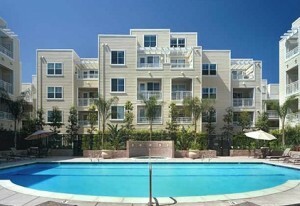 At Key Housing, we can provide a selection of San Mateo furnished apartments with all of the facilities you will love. Our San Mateo furnished apartments offer a range of amenities including such things as ample living space to relax and enjoy life, locations in prime San Mateo residential neighborhoods, private entrances, fully equipped kitchens, fresh bedding, designer furnishings, inside washer/dryer equipment, free highspeed internet, cable television service, housekeeping services, and parking. Some of them also have access to hot tubs, swimming pools, and gyms as well. San Mateo is ideally situated wherever you need to be for business purposes in the Bay Area. It is only about a half hour’s drive to the north to San Francisco and about the same to San Jose in the south. If you need access to the East Bay, you have the San Mateo Bridge which is the longest in California and the 25th longest bridge in the world at just seven miles long overall. There are plenty of things to do in San Mateo on your weekends off. Coyote Point on the Bay is a favorite spot for barbecues and for windsurfing. There are also five walking trails there where you can see the San Francisco skyline from a different viewpoint. Also on Coyote Point is CuriOdyssey which is an interactive science and wildlife center which is great for families and children. Here you can see a lot of animals native to California, and there are lots of events and activities going on. There are also the San Mateo Japanese Gardens which are beautiful. Unlike the Japanese Garden in San Francisco, this one is free to enter, and it doesn’t get so full of people, so you get a better experience of the lovely scenery. If you like hiking or biking you have the Sawyer Camp Trail of 12 miles along the San Andreas fault. Look out for the Jepson Laurel which is the oldest and largest laurel and is around 600 years old. Yes, there is plenty to see and do around San Mateo, so it is a great city in which to stay. Here at Key Housing we have a selection of San Mateo furnished apartments to rent, whether you are looking for a one bedroom, two bedroom or three bedroom apartment.